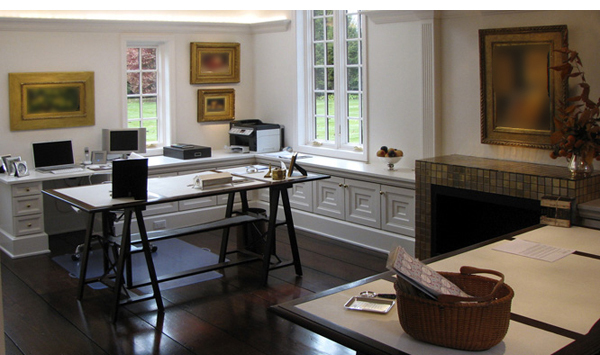 In the oldest house in an old New England town, our clients wanted to improve their home office area. With extensive custom casework, sound and lighting systems, a concealed elevator to the upper floor, and a careful assemblage of eclectic, modern furnishings, we transformed their office into a two-part suite. One enters a rather low-ceilinged parlor-like space, with comfortable seating, bookcases, and media center. 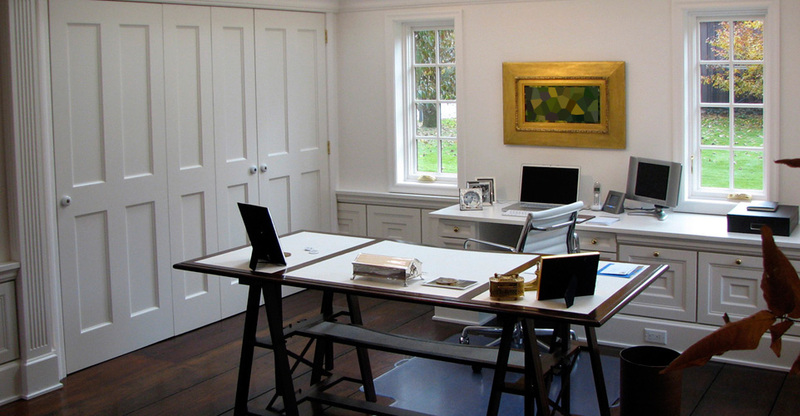 Moving forward toward the light, the ceiling rises over the owner’s workspace, with high and low windows, a non-focal fireplace, and an assistant’s table to one side. Floors and furniture are burnished and dark tones, while casework, walls and ceilings are brilliant white.